Digestive Medicine Associates is proud to announce the grand opening of their newest facility in Kendall, 11880 SW 40th St, Suite 216, Miami FL 33175. Their team of board certified gastroenterology & hepatology physicians are committed to excellence in patient care, believe in promoting the highest level and quality of care with the greatest degree of compassion. Their physicians have been providing Gastroenterology services for over 25 years in North Dade county, Coral Gables, West Broward County and now Kendall. They are Physician owned and run. "Today many physicians especially, Gastroenterologist, have sold their offices to big corporations or hospital systems" said Dr.Maderal, who has been practicing in South Miami for over 30 years". Many of these corporations have raised prices and cut staff and overhead in an effort to increase profits. Since we are entirely physician owned and run, we have avoided these changes. We are grateful for the growing number of patients we see". 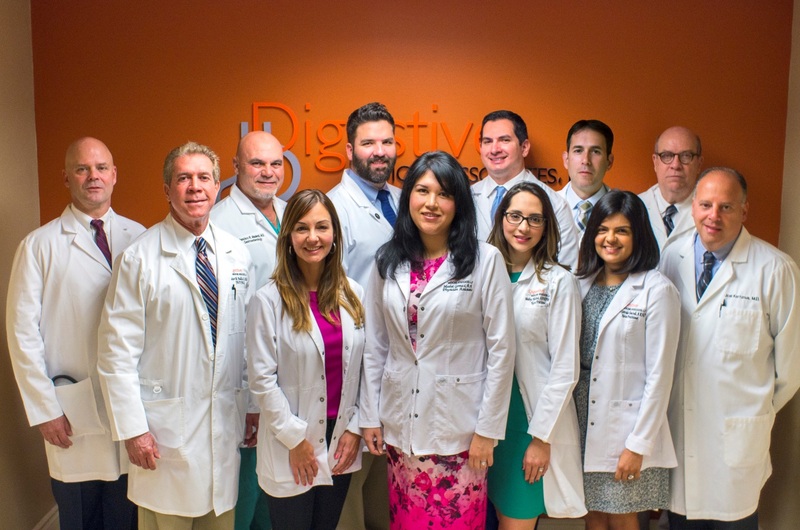 At Digestive Medicine Associates, patients can expect a very friendly team of experts who will help them with all of their questions. Their offices have state-of-the-art- equipment and a wide range of gastroenterology care including: colonoscopy, gastroscopy, hemorrhoid banding, in-office ultrasound, hepatitis B & C treatment, celiac disease, irritable bowel syndrome, problem swallowing, acid reflux, indigestion, bloating/gas, rectal bleeding, ulcerative colitis, Crohn's disease, Barrett's esophagus and ReShape a dual-balloon non-surgical procedure for weight loss. Digestive Medicine Associates is accredited by AAAASF (American Association for Accreditation of Ambulatory Surgery Facilities) and AHCA (American Health Care Association). They offer office-based endoscopic procedures, including colonoscopies and gastroscopies. These office-based procedures allow patients to avoid paying for the hospitals facility fees, which are often thousands of dollars. They also offer patients a more relaxed environment for their procedures than a hospital or surgery center, where just the registration alone can be very time-consuming. "Most outpatient surgery and endoscopy centers are hospital-owned with hospital prices" said Dr. Maderal. "Most colonoscopies and gastroscopies are not complicated and should not cost thousands of dollars. Our patients come in for their procedures and within a couple of hours they are home and back to their daily routines". All of the patients at Digestive Medicine Associates undergo a preoperative interview to help determine their individual assessments and needs. This allows the medical team to choose the best care plan for each patient. Since each patients case is different with a variety of deductibles and co-insurance plans. The office staff makes sure to inform patients as what their plans covers and how to wisely use their plan. They also find and suggest quality outpatient x-ray facilities for patients that are dependable. As we understand that medication cost is another huge segment of heath cost. According to Dr.Maderal, the new popular medication is not always that much better then the older generic one. "Sometimes there is no generic version and we need to explain the need for investing in the high cost medication", said Dr.Maderal. "Many times patients take medications longer than they need to, simply because no one suggested they stop it. Drug costs vary widely among pharmacies even when they are close to each other geographically. We suggest websites such as Good Rx, where you enter the drug name and your zip code and it gives you an incredible variance in drug prices and information to find the best price". The doctors at Digestive Medicine Associates also pride themselves in keeping up with the latest medical treatments for all gastroenterology ailments. The physicians at Digestive Medicine Associates are there to provide the community quality medical and preventive care in the field of digestive health. They are proud to serve in North Dade County, Coral Gables, West Broward County and their newest location in Kendall. They accept all major insurance plans.